Do you know the directions to Happy Place? Is it easy to navigate your way there on your own, or do you require help, like a GPS? If you’re not already there, are you at least on the road? Be grateful. Sometimes it can be hard, but if you dig deep, you will always find something. Allow love in your life: give it and be open to receiving it. Want it. 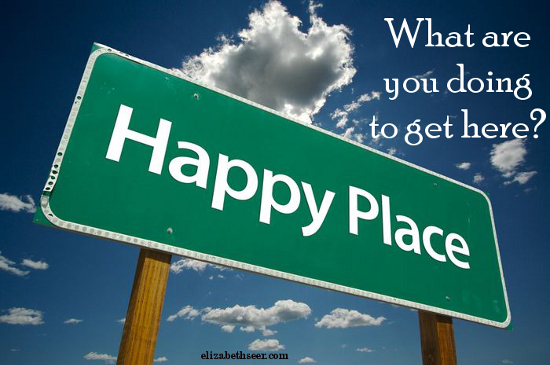 You have to want to get to Happy Place; otherwise, you could end up doing circles around Misery Lane. I know that last one is a bit cheesy, but you know it makes sense. Some people don’t want to be happy, and you have to wonder if they embrace the first two stops on the road, gratitude and love. gratitude, happiness, happy place, joy, love. Bookmark.